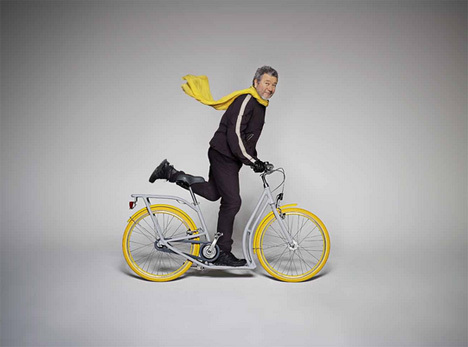 Famed designer Philippe Starck worked with car manufacturer Peugeot to come up with a bike for the city of Bordeaux’s public bike scheme. 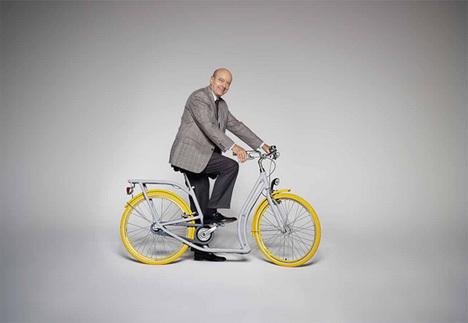 The Pibal can be ridden just like a normal bike, but when you need a change of pace or have to get through a pedestrian area, you can just stand up on the platform with one foot and push along with the other. 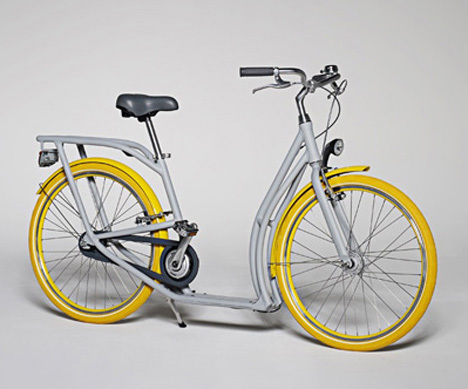 The Pibal allows riders to carry a load of groceries on the front or back. Your child can even stand on the platform while you push the bike along, making the end of a shopping trip fun and simple rather than stressful and tiring.